The musical odyssey continues! Join the Fort Collins Symphony (FCS) for an audio adventure that spans two continents in its Masterworks 4 concert, “The Andes to Austria,” on Saturday, March 2, 2019 at 7:30 p.m. at the Fort Collins Lincoln Center. Under the direction of Maestro Wes Kenney, the performance features music composed by Gabriela Lena Frank, Felix Mendelssohn, Wolfgang Amadeus Mozart, and Ludwig van Beethoven. Featured soloist: Max Soto, FCS principal oboist. During the Fort Collins Symphony’s evening of musical travel, audience members will trek though the Peruvian Andes to the pentatonic harmonies of Elegía Andina (Andian Elegy). Contemporary composer Gabriela Lena Frank’s family roots are clearly evident in this tone poem that evokes the strength and majesty of South America’s towering mountains with native Peruvian sounds. A hop across the Pond takes the audience to the wild seas of Scotland’s Inner Hebrides. Inspired by his visit to the cavernous basalt caves on the Isle of Staffa, the young composer Felix Mendelssohn interpreted his experience through the Hebrides Overture, commonly known as Fingal’s Cave. Then it’s off to the Baroque city of Salzburg for an early Wolfgang Amadeus Mozart composition, the Oboe Concerto in C Major. One of the more important concertos in the oboe repertoire, this lively work will showcase the fine musicianship of the Symphony’s principal oboist, Max Soto. The Masterworks 4 musical odyssey concludes in the elegant Austrian capital city of Vienna with a romp through Ludwig van Beethoven’s lively and upbeat Symphony No. 8. Guest Artist: Max Soto began his musical education with the Orquesta Sinfonica Juvenil of Costa Rica. He received his Bachelor of Arts in Music Performance from Loyola University of New Orleans and performed an entire season with the Louisiana Philharmonic Orchestra. Soto earned his Master’s in Music Degree in 2004 from the Lamont School of Music at the University of Denver. He has performed with the Colorado Symphony Orchestra, Colorado Ballet, Opera Colorado, Colorado Springs Philharmonic, Steamboat Springs Orchestra, Central City Opera, and Cheyenne Symphony Orchestra. 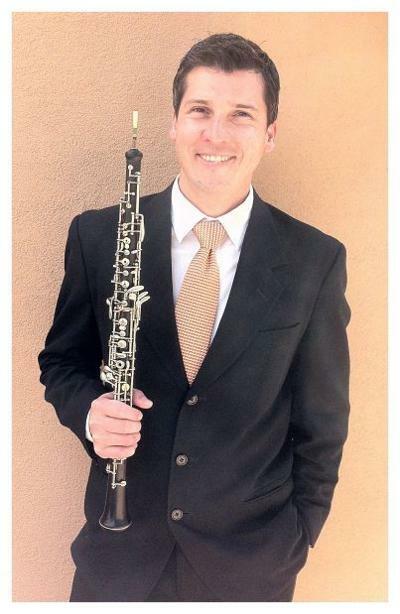 Max Soto is Principal Oboe with the Fort Collins Symphony Orchestra, Boulder Chamber Orchestra, and Greeley Philharmonic Orchestra. He also appears with the Boulder Philharmonic Orchestra. Pre-Concert Talks and Events: The concert journey begins with the Friends of the Symphony’s Composer Talk by Dr. Dawn Grapes on Wednesday, February 27, 2019 at noon at the Old Town Public Library. The following evening, on Thursday, February 28, 2019, families are invited to attend the Open Rehearsal from 7:00 to 8:30 p.m. at the Lincoln Center. Both events are free of charge and open to the public. The week of music continues on Sunday, March 3, 2019 when the Friends of the Symphony host Musical Zoo at Timberline Church from 2:00 p.m. to 4:30 p.m. Tickets are $5 per person. For tickets, call 970.221.6730 or LCtix.com. The Fort Collins Symphony 69th Season is sponsored by the City of Fort Collins Fort Fund and Dr. Peter Springberg. Masterworks 4 is sponsored by the Friends of the Symphony and the Friends of the Symphony Endowed Chairs. Additional concert sponsors are Jay’s Bistro and Paul Wood Florist.